After years of outcry from patients who say they’ve suffered excruciating side-effects, Bayer has opted to halt sales of Essure, a controversial birth control device that consists of metal coils inserted into the fallopian tubes. The pharmaceutical giant says its decision to cancel the product at the end of 2018 has nothing to with safety concerns. 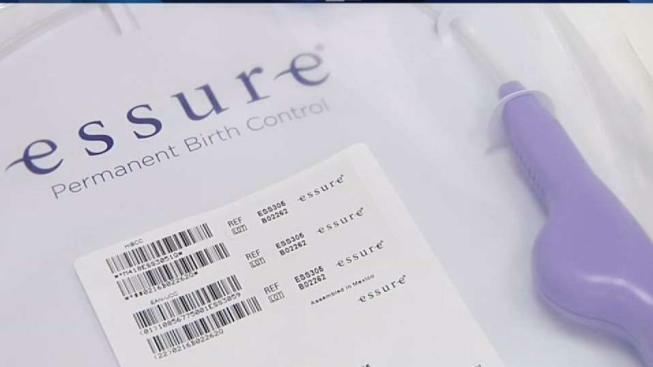 In a statement to the I-Team, Courtney Mallon, a Bayer spokesperson, said the company is discontinuing Essure because U.S. sales are in decline. “We feel it is very important to emphasize that this is not a recall situation,” Mallon wrote. “This is purely a business decision. 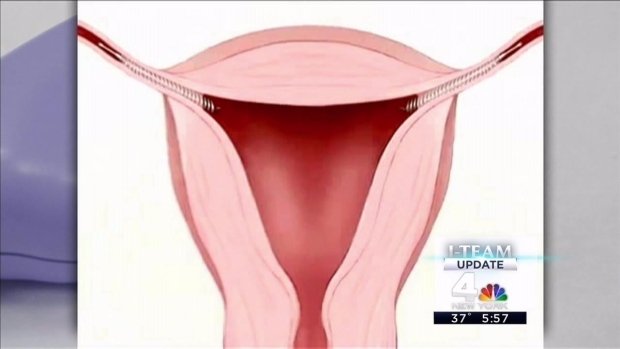 Since it hit the market, doctors have reported hundreds of problems with a form of birth control called Essure. Chris Glorioso reports. Though Bayer continues to stand behind the safety of Essure, a vocal group of Essure patients has long claimed the contraceptive can cause allergic reactions, chronic pain and fatigue. Some patients have even reported the metal coils migrating and puncturing internal organs. Dolly Pena, an Essure patient currently looking for a doctor who can safely remove the coils, cheered Bayer’s decision to cancel the product. “We want this to be out of the market so no other women will be harmed,” Pena said. “This is a huge battle that we’ve won,” said Kim Hudak, an Essure patient who participated in the clinical trials that resulted in the product’s FDA approval. “It is disheartening because I know what I went through during the clinical trials and the problems that I was experiencing that never made it into the permanent records. They knew there was a problem. They discarded it,” Hudak said. Bayer says the FDA examined the clinical trial documentation and found no evidence researchers purposefully modified patient responses to reflect more positive results. Scott Gottlieb, the FDA Commissioner, released a public statement affirming federal regulators still consider Essure to be a safe form of contraceptive, but he also said the FDA wants Bayer to complete government-ordered research to investigate painful side-effects being reported by patients. Aside from regulatory scrutiny, Bayer is still facing several lawsuits from patients who want the right to sue the pharma firm over issues related to Essure. The company said canceling the product had nothing to do with those lawsuits. “I think Bayer pulling this from the market is probably going to be favorable to us in the eyes of the courts,” Firmalino said.